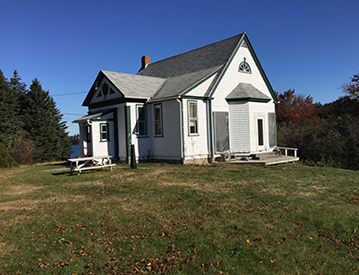 The IAH school is one of about 400 remaining one-room schoolhouses in America, and continues to provide a K-8 education. Hardly a museum piece, the scope of the curriculum belies the building’s size: the school offers outstanding place-based education opportunities; artists in residence; collaborative classes through the Outer Islands Teaching and Learning Collaborative, a program utilizing technology to connect with other one-room, island schools via video conferencing, Skype, group blogs, and wikis; and last but not least, fully-funded field trips that have ranged from whale watching to visiting the White House. The community’s support of its youngest residents doesn’t stop after 8th grade. Whether a graduating student goes to a nearby public high school or a private boarding school, the town contributes toward tuition costs—and the students always receive a warm welcome home. During World War I, the town set a world record of 100 percent membership in the Red Cross.